The new retail, retail experience – differentiation and driving growth through brick-and-mortar stores – harnessing mobile apps, in-store data and analytics to enhance the customer experience. Cisco Live is Cisco’s annual conference for partners and users to share ideas on major global trends and new technologies. The theme of this year’s conference was “Building a bridge between Hope and Possible”. Our CEO, Chad Stewart, attended to collaborate with Cisco on their 'Future of Retail' exhibit, speak on the topic of Customer Experience and participate in a panel during the Retail Summit. 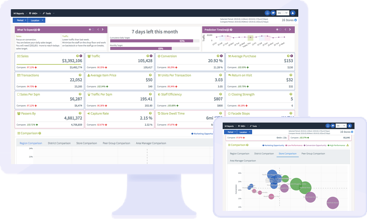 The unifying theme was bringing physical retail stores towards digital transformation by harnessing in-store customer behavioral data to promote richer customer experience and drive business. Our purpose for attending and showcasing at this event was to first, gain insight from the perspective of retailers on what their understanding of digital transformation is and how they are evolving their businesses to embrace the future of retail. Secondly, we wanted to receive feedback from the various industry leaders and experts on how Flow's platform is perceived by international retailers and experts. The feedback from retailers was almost universally positive. For example, our booth was highly praised and was notably ranked #2 out of 100 booths on display at the exhibition. Visitors expressed great interest in our unique value proposition and the direction that we are taking our development to further empower customer-centric communication and decision making. 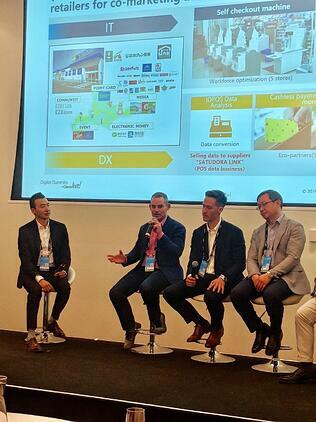 During the Retail Summit, Raymond Ma, General Manager, Alibaba Cloud ANZ explained that, from the customer's perspective there is no such thing as ‘ecommerce’ or ‘in-store’. They buy from whichever channel that delivers the best experience when considering many factors. Online stores have already started to recognize this and major online retailers are looking to spread their dominance by stepping into offline retail and services. Traditional brick-and-mortar retailers need to quickly remove obstacles to designing profitable omnichannel shopping experiences that modern customers desire. After speaking at the Retail Summit Session, CEO Chad Stewart participated in a panel called ‘Understanding Shoppers’ Behaviour in Brick and Mortar Spaces’. This panel consisted of four retail industry experts where they discussed the importance of AI in facilitating the digital transformation of the retail industry and the hurdles that physical retailers face. Reflecting on the event we noted some key outcomes. We were able to see how the retail industry transforming abroad at a pace at which is significantly faster than in Japan. There was also valuable information exchanged with other experts and we were able to get deeper insight into how Cisco and its partners are driving the future of retail. At Flow we are very excited for the evolution of retail over the next few years both inside and outside Japan.